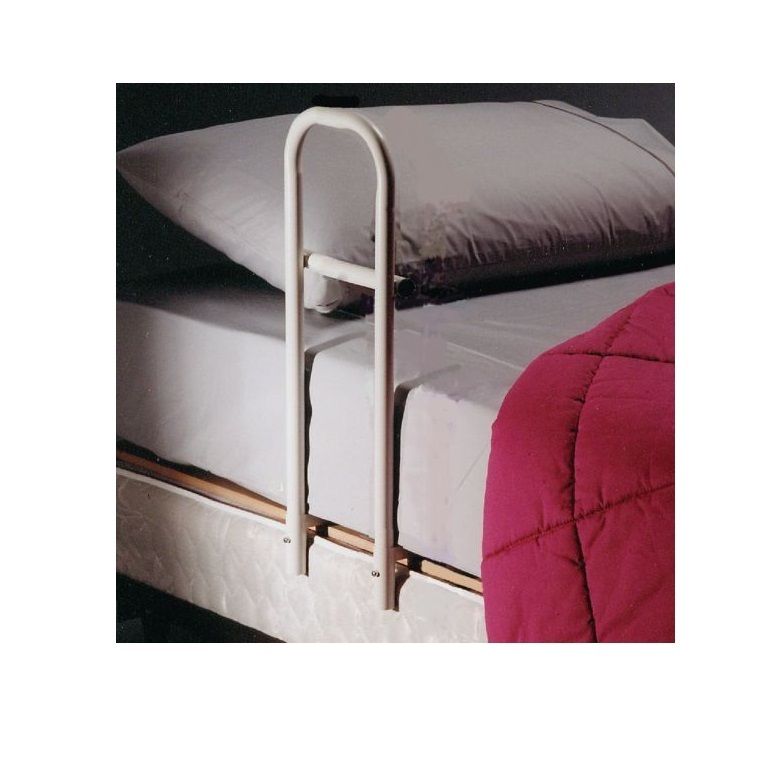 The Transfer Handle Bed Rail is a bed transfer safety rail that provides a sturdy support to help make transfers and bed mobility easier. 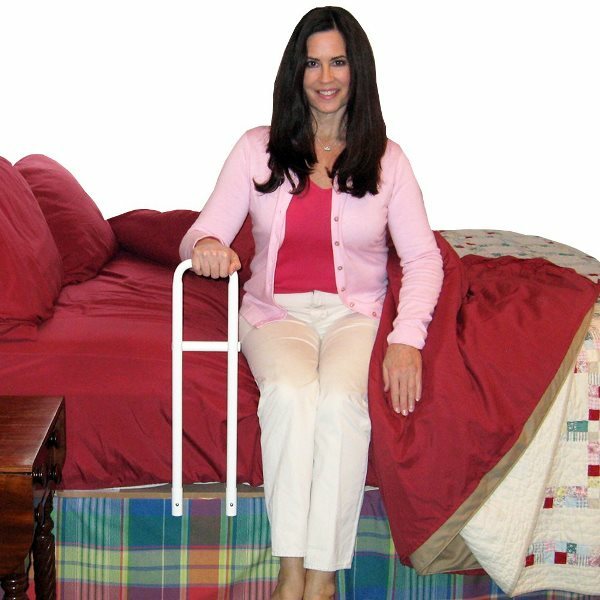 People with limited mobility will find this bed transfer aid helpful for increasing safety and preventing falls. 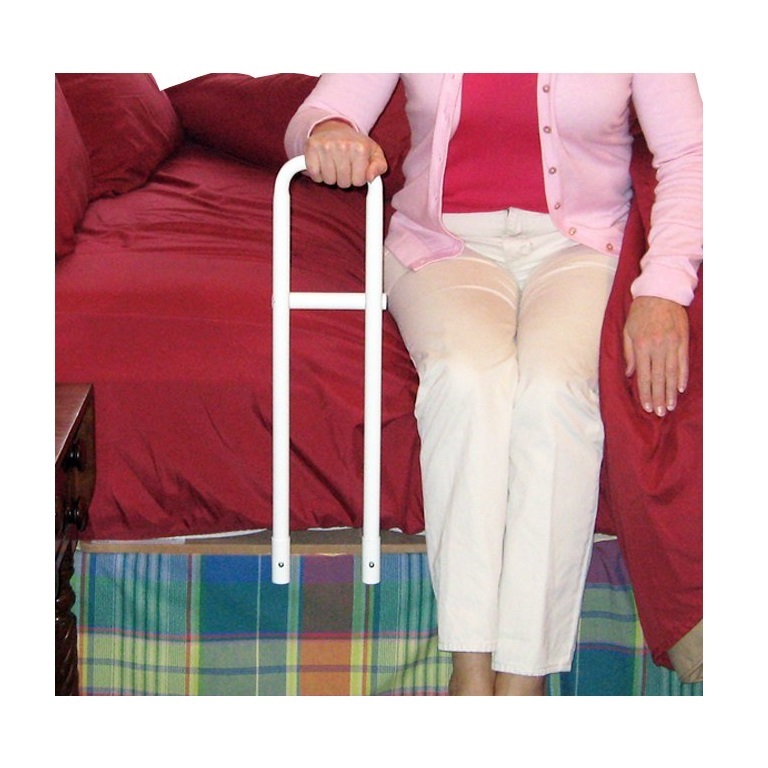 The Transfer Handle Bed Rail helps walker and wheelchair users to transfer safely, helping to prevent falls and injuries. The large handle attached to a board that fits between the mattress and box springs on home style beds. 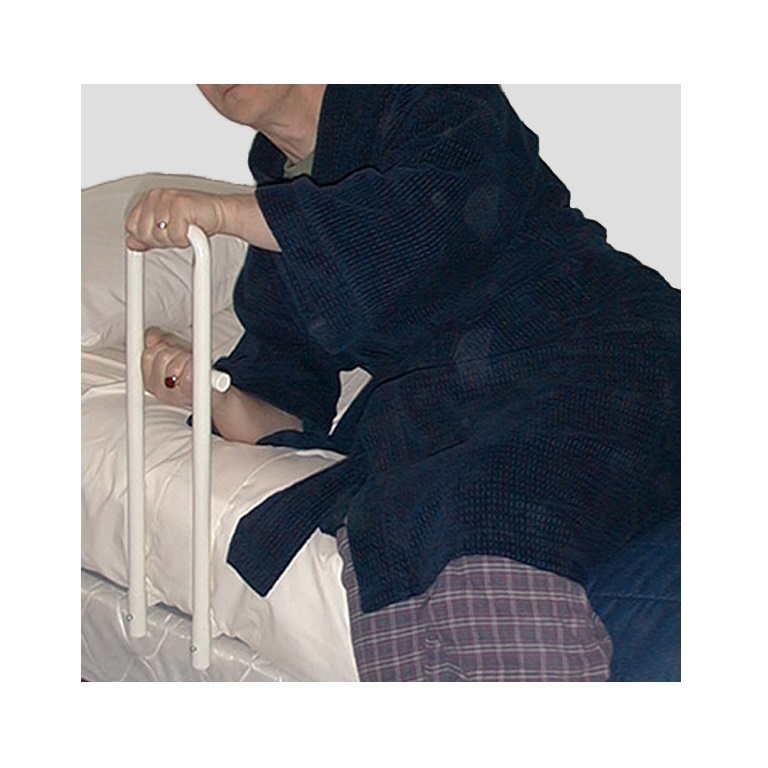 This sturdy support handle is helpful for users to safely transfer from a bed to a wheelchair or bed to bedside commode. 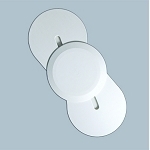 The handle measures 22 inches high and fits mattresses up to 14 inches thick. The durable steel handle is 6 inches wide and is mounted to a 30 inch long, 27 inch wide bed board. 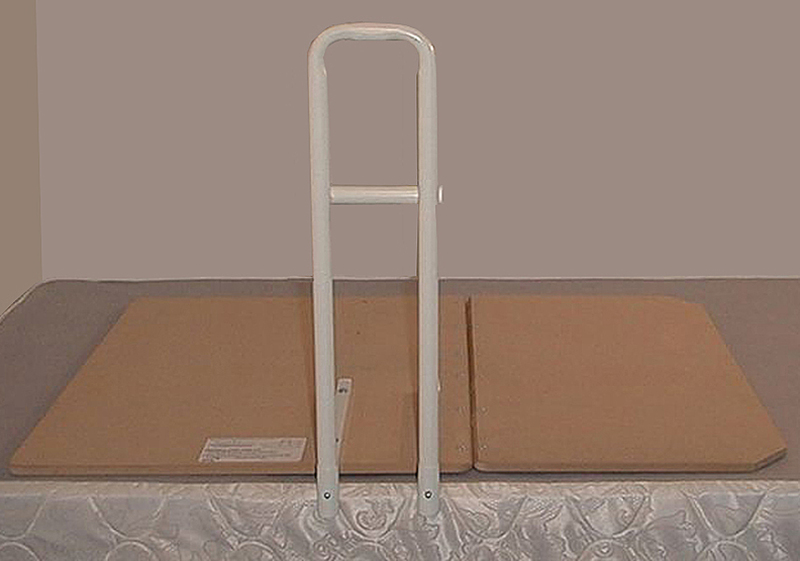 The Transfer Handle Bed Rail is easy to install, just slide the board between the mattress and box springs of a home bed. Handle measures: 22 inches high, Inside width 4 inches, outside width 6 inches. Bed board measures: 27 inches wide, 30 inches long. Q: Advertisement says no tools required. Does something slide under mattress or what, to keep it stable? Please send info on this unit. 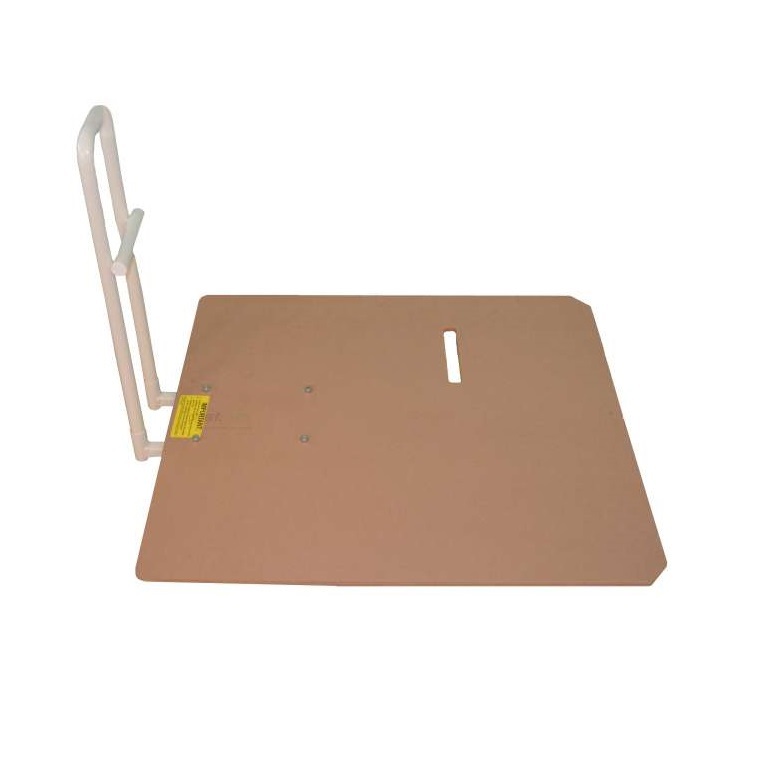 A: The description states the steel handle attaches to a 29 x 37 inch board which is placed between the mattress and box springs. A: NOT designed for adjustable beds.